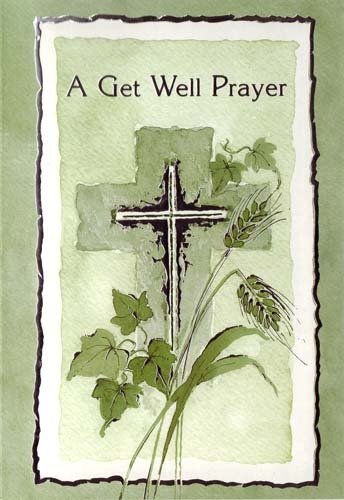 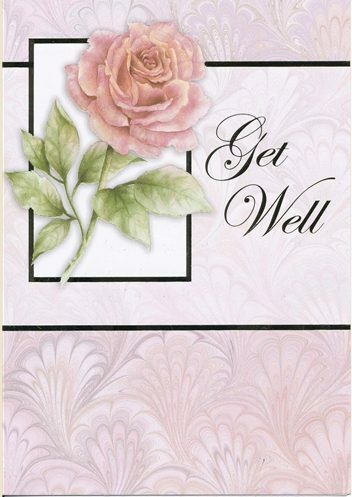 Tri-fold silver foil embossed Get Well card. 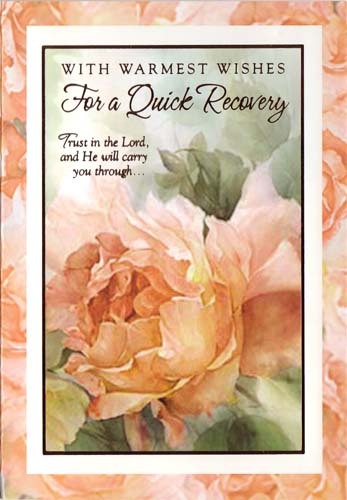 4-1/2″x 6-1/2″ in size. 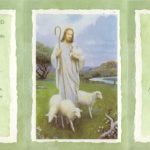 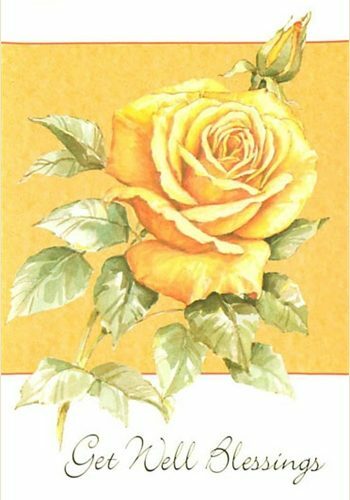 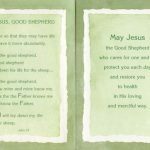 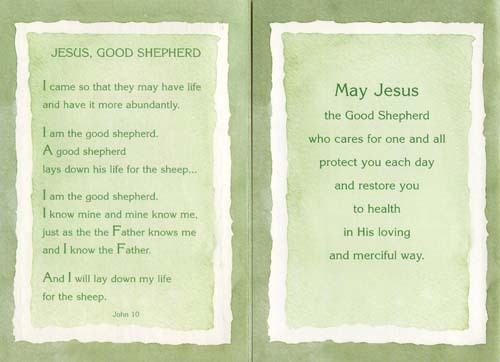 Inside copy: May Jesus the Good Shepard who cares for one and all protect you each day and restore you to health in His loving and merciful way.